One out of five Africans is a Nigerian. 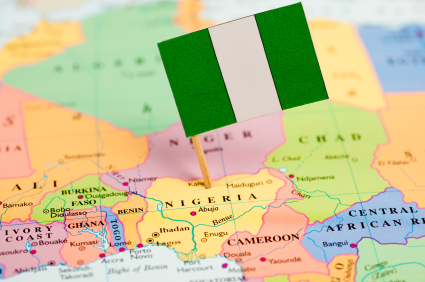 Nigeria dominates the continent and it is hailed as the most populous place in the region. A visit in this tropic place will put anyone in a culturally rich region, diverse society and territorial ethnicities. If you are not familiar with the place, here is a short list of Do’s and Don’ts plus some travel tips to have the best and safest visit. Getting a visa to visit Nigeria will be a tough job to accomplish. Aside from the laborious paper works, the visitors are required to have a series of vaccines to be granted entry in the country as stated by Come to Nigeria. Among the recommended vaccines to take are Diphtheria, Hepatitis A, Poliomyelitis, Tetanus, Typhoid and lastly Yellow fever. If you cannot provide any proof of the vaccines especially for the Yellow fever, you may not be granted an entry in the airport. Nigeria was a British colony until they obtained their independence on 1960. There will be nothing to worry about the language barrier as the official language of the place is English. Though there are other languages spoken in the region aside from English, almost all of the local are fluent in English. There is also a local dialect called Pidgin English which uses slang and native words incorporated with English. If you ever encountered this variation, just be polite and ask for further explanation. For LGBT travelers, visiting Nigeria is a dangerous venture. Homosexuality is very illegal in the place especially in the North where the Shari’a law is strictly implemented. Gays and lesbians can be executed by stoning and public display of affection is strictly discouraged. Violence against LGBT people are frequent in the area so extreme precaution is highly recommended. The currency used in Nigeria is Naira. It is issued in 5, 10, 20, 50, 100, 200 and 500 denominations. According to Smarter Travel, some of the hotels and establishments do not accept credit cards so carrying cash was the obvious choice. Tourists are advised to exchange money of authorized banks and there is no limit on how much foreign currency you bring provided that a proper declaration is issued to customs. Honestly, Nigeria is a fairly dangerous destination. It is very advisable to visit the place with a local friend that you can trust so you can enjoy your trip to the fullest. The capital, Abuja is a safe bet as it housed Nigeria’s politicians and other personalities so the security is intact. The Niger delta is a no go location due to continued violence between the government and militants. The northern regions are also unadvisable due to Islamist groups such as Boko Haram.